Today Google Play Store offered me an update to Go4 (on my non-drone-phone that I keep up-to-date), which I accepted. 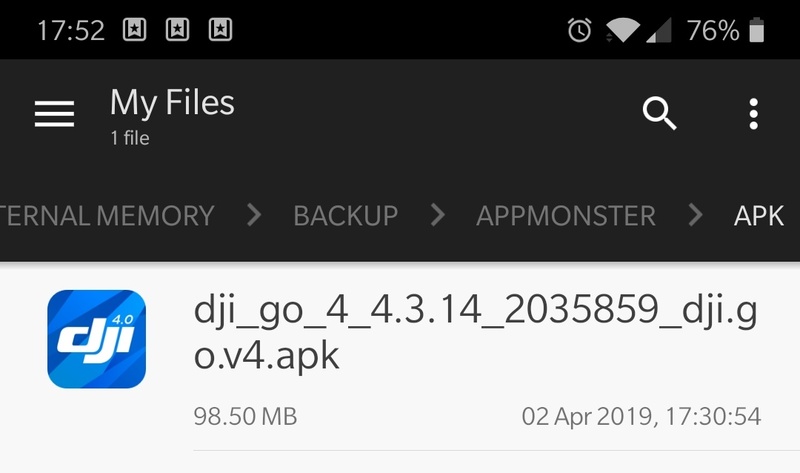 I always keep a copy of the .apk so that I always have all versions available should I need them at any time. When I went to copy the .apk to the drive/folder where I keep them all, it claimed I was about to overwrite an existing one. Indeed - what it downloaded today (v4.3.14 Build 2035859) is identical - even when comparing the two files bit-by-bit. 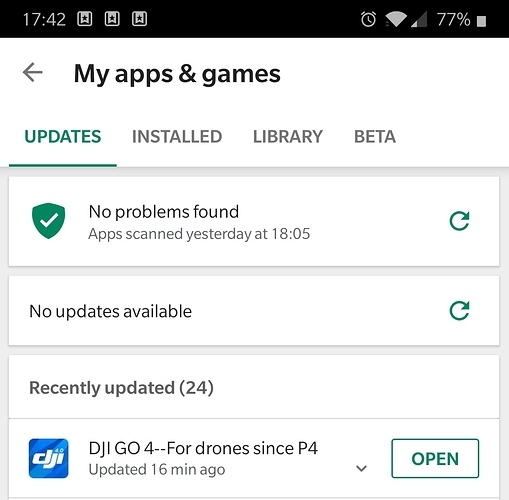 Google Play also still has the last update listed as 19th February. The other proof that it was identical was that it never went to the “Downloading Resources” phase when opened. I’ve got a pending update as well. 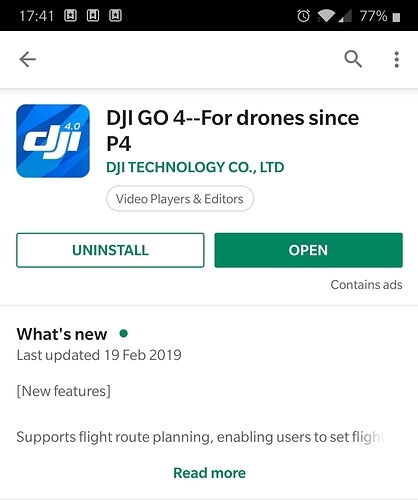 Go4 shows I’m on the latest app but play has an update for me. 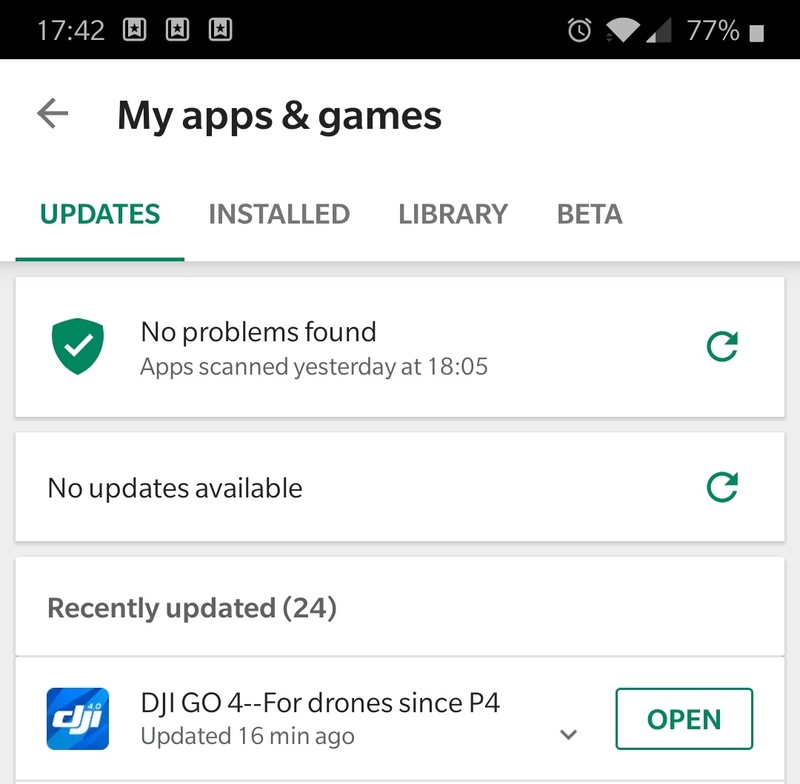 Is the build number the same with your previous app as the new one? I’m not sure how to find it on my install. Everything the same - build and every single bit. Must be a glitch with Google play.